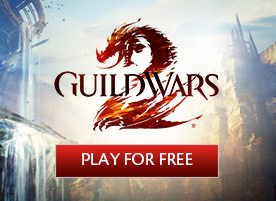 Guild Wars 2>News>Take Part in the Guild Wars 2 Great MMO Migration! 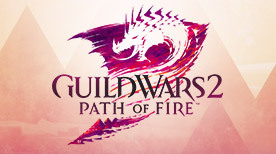 Take Part in the Guild Wars 2 Great MMO Migration! This contest has ended. View the entries on our YouTube page. The Guild Wars 2 Great MMO Migration has begun, and new citizens from all over are being welcomed to Tyria! How can you, as a current citizen of Tyria, help the effort? Welcome in new heroes with open arms! It’s not so long ago, after all, that you were new to the world of Tyria – all the excitement can be overwhelming, and having friendly, knowledgeable veterans around can make all the difference. Show how Guild Wars 2 has the best community by providing that stable foundation to incoming citizens. As a bonus, every new citizen that joins the world of Tyria and the adventures within will get an item that grants a significant amount of influence to the guild of their choice. If Tyria isn’t yet your home, you can move in for free – all you need to do is create a simple video! Pledge your commitment to the world of Tyria, send it in, and find out if you’re one of 5,000 winners of a free copy of the Guild Wars 2 Heroic Edition! 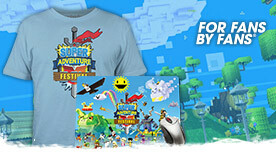 Read all the contest details here. Good luck, and we’ll see you in-game!